Relatively recently I was the benefactor of an unexpected marvelous surprise. It was wonderful (in addition to being marvelous…as marvelous things often are). You’re walking along, living your life in the way(s) you expected to be. Someone approaches you with an unexpected marvelous surprise (or one surfaces is some other form or fashion). Ums are actually quite basic and they occur more frequently than some of us give them credit for. Also, when we recognize and appreciated them they have the capacity to be outstanding tools for developing relationships and fostering cultures of optimistic enthusiasm and positive progress in school communities and at home. Ums have the power to support leaders and learners in framing the world as a surprisingly marvelous place, even and especially when they least expect it. Just one *um can fill a heart with joy and a soul with sustainable hope. A viable school, classroom, and/or home practice to consider might be intentionally issuing 2-3 ums to people you serve on a daily basis. A nice note to your spouse, a new book from the library for your child, a “thank you” card for a teacher with some positive feedback on the wonderful impact he or she makes, or even the gift of a “magic” crayon to a kindergarten with the connected request for a “magic” drawing to be generated and hung on your wall. Even the most simple, positive contact or communication can be an um in this busy world. Ums support cultures of caring and positive partnerships. Ums remind people that good is all around and that we are in this together! The relatively recent um I’m writing about now began with an invitation to guest host a popular Twitter chat. My friend and colleague Dr. Mary Howard (@DrMaryHoward) contacted me and four other administrators from around the country. She asked each of us to guest host one in a series of five sessions that would combine to spotlight school leadership and collectively envision the incredible potential of forward thinking school communities (like the ones in which we’re each fortunate enough to serve). Mary is the author of “Good to Great Teaching: Focusing on the Literacy Work that Matters” from Heinemann. She’s also the co-moderator of this enormously meaningful and collaborative weekly twitter chat under the hash tag #G2Great. The chat is co-moderated by the amazing Amy Brennan (@brennanamy) and the remarkable Jenn Hayhurst (@hayhusrt3) and it takes place on Thursday evenings from 8:30 – 9:30 pm. Join tonight with guest host Matt Renwick (@ReadByExample) if you can! The invite was a real um for me, and it turned into multiple subsequent ums as well! It was my first time guest hosting a chat. The learning happened on multiple fronts. First, I was blown away by the input from and digital dialogue of the #G3Great PLN (Professional Learning Network, if you didn’t know…and even if you did), and second, I was officially introduced to “tweetdeck” and thereby exposed to a whole new world of possibilities with regard to shared digital learning. Frankly…it’s awesome, not to mention very user-friendly. Check it out. And here’s the Storify link to our chat session if you’re interested: #G2Great 8/4/16. As if that wouldn’t have been plenty of connected ums to fill me up for some time, Mary wrote a way-to-kind, accompanying post on the wonderful “Literacy Lenses” blog (linked to text). The post warmed my heart, humbled and flattered the heck out of me, and it also fill me with inspiration and the ever-important reminder that the most effective and meaningful leadership is shared! I’m so fortunate to have such amazing partners, from the students, teachers, and parents I serve, to my building and central office administrative partners, to the remarkable educational and organizational leaders I’m so proud to be intertwined with as a global PLN on this leadership and learning journey. I learn and grow the best and in the most meaningful ways when I do it together with others. So, look out for incoming ums along with opportunities to provide outgoing ums as you prepare for the start of another great school year. Inspire those you serve with continued demonstrations of your commitment to shared learning and leadership, and allow yourself to be lifted up and inspired by even the most fundamental ums that come your way, if for no other reasons then…um…you’re worth it! Live. Love. Listen. Learn. Lead. Thank you. * In this context the term “um” represents a single unexpected marvelous surprise given the coinciding facts that, 1. 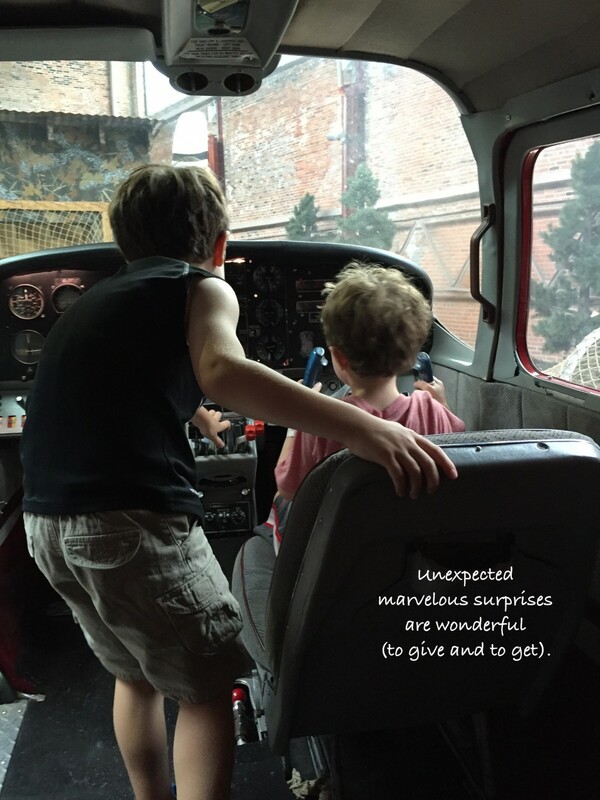 The words “unexpected” and “surprise” are synonymous, making it unnecessary to include both unless speaking or writing in multiplicity (with the “s” indicating multiple “ums” as it does with regard nous in general), and 2. You shouldn’t say or write the phrase “an ums” because it simply doesn’t sound or read correct (and arguably, neither does this explanation, but whatever…you get it).